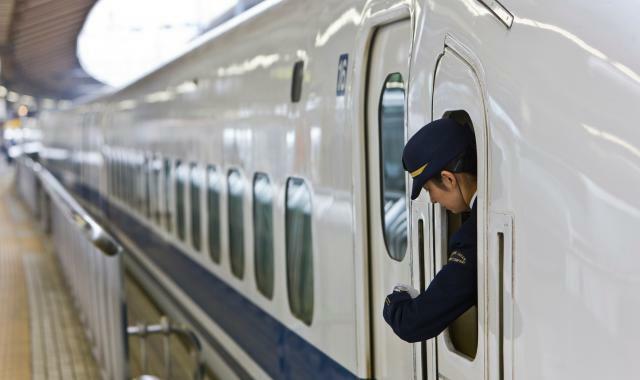 Ensure your business trip to Japan is stress-free by following these tips on how to get around Japan’s famously efficient public transport system. Limousine Bus: This service connects Haneda Airport with Narita Airport (90 minutes, ¥3,000, approx. £20). Keikyu Line: Most Airport Rapid Express trains on the Keikyu Line also run all the way to Narita Airport’s terminals; these services are much cheaper than the bus (105 minutes, ¥1,740), but buses operate more frequently. JR Narita Express Train (NEX): This train departs from several major stations in Tokyo (Tokyo, Shinjuku, Shibuya, Ikebukuro etc.) to Narita Airport. Keisei Skyliner: This train departs from Keisei Ueno Station, 3 min. walk from JR Ueno Station; reservations can be made on arrival at the station. You can also depart from Nippori Station on the Yamanote Line. From Tokyo City Air Terminal (TCAT): TCAT is located at Suitengu-mae station on the Hanzomon subway line; exit No1 connects directly with TCAT. Depending on your airline, you may be able to check your luggage and complete immigration formalities at TCAT. Please arrive at TCAT approximately 4 hours before the departure of your flight. From your hotel: The Limousine Bus service departs from most major hotels. Check with your hotel for departure times. Tokyo Monorail: Travels from Hamamatsucho station on the JR Yamanote to Haneda airport in about 15 minutes. Keikyu: There are trains about every 10 minutes during the day from Shinagawa station. It will take about 15 minutes by direct line. Shinkansen (bullet train): Services run nearly the length of Japan, with trains running most frequently from Tokyo to Nagoya (100min), and Osaka (140min). Tickets can be booked at major JR railway stations across Japan or online. Regular trains: A countrywide train route search engine with service in English is available here. Japan is serviced by a vast network of bus routes. For budget travellers, night buses travelling to and from all major cities remain a popular way to travel. General information about bus routes and companies servicing Japan can be found here. Tokyo is serviced by a vast network of public transportation. Visiting the British Embassy: Please see the PDF below for details on the Embassy’s location, with instructions in Japanese for a taxi driver if required.